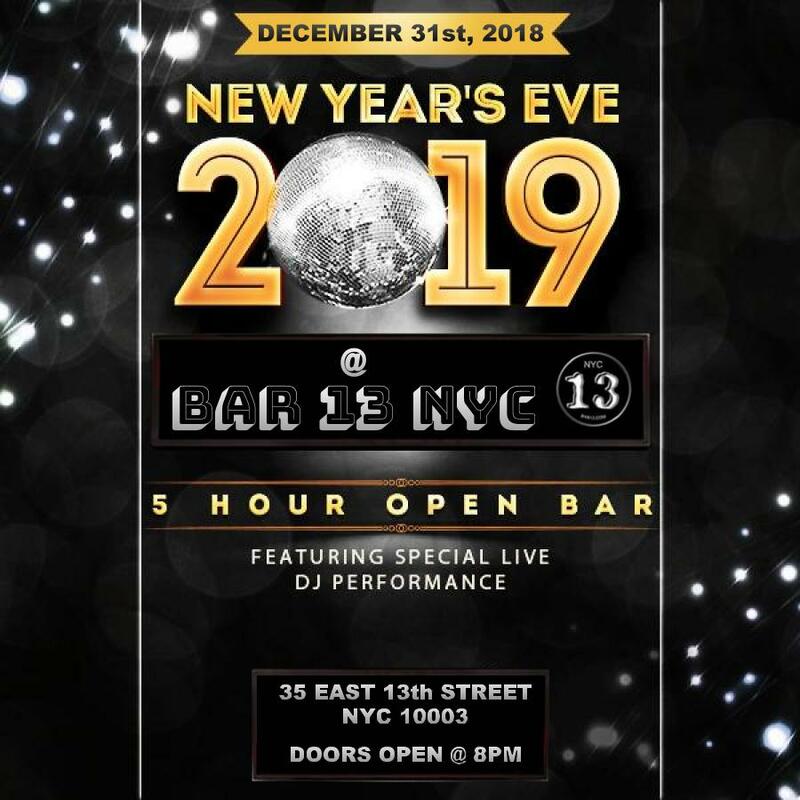 Ring in The New Year with style this year as you party the night away at Bar 13. The 5-hour open bar special is just the icing on an incredible decadent New Year’s cake. Patrons can also enjoy a complimentary toast at midnight, 2 surprise DJs and party favors. 2 floors, a rooftop with and an outdoor smoking section are just a few other amenities Bar 13 has to offer.